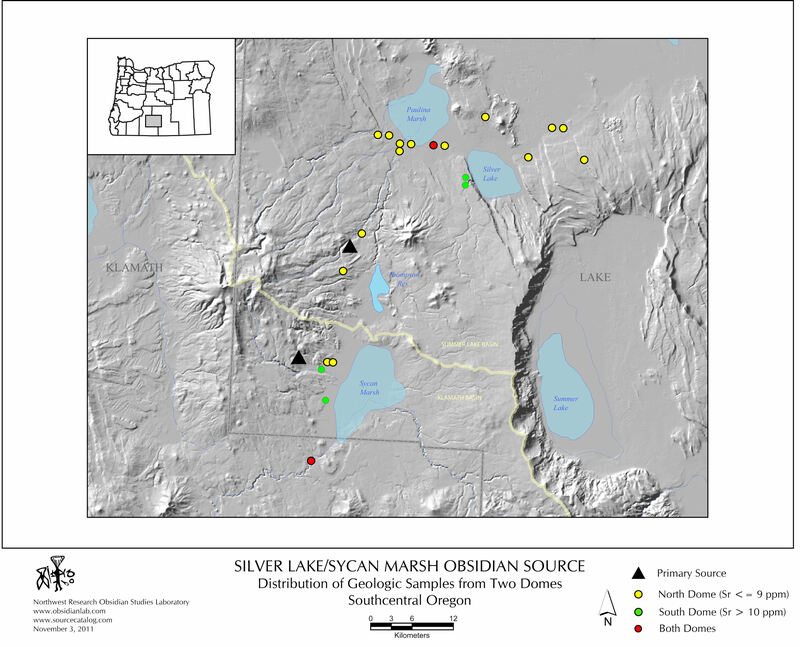 Welcome to the laboratory map library. 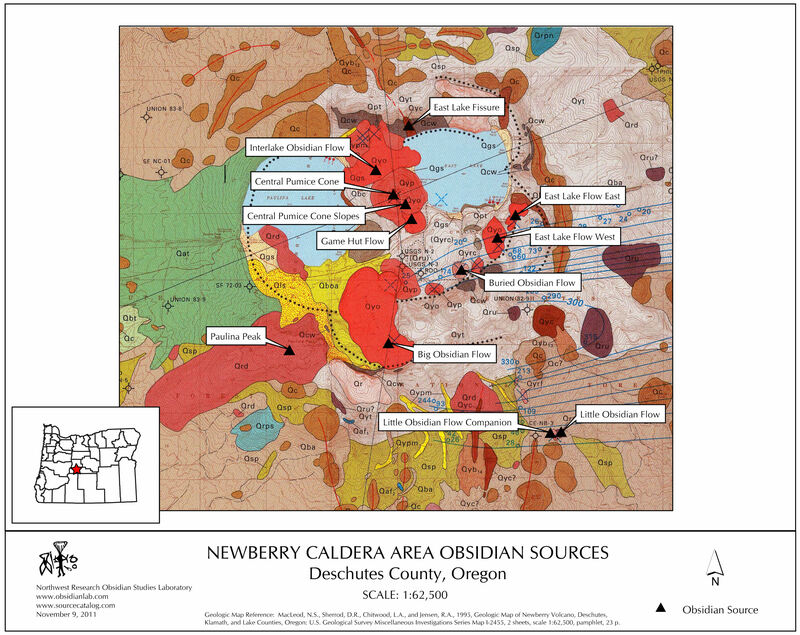 In this section, you can find and download various obsidian-related maps that we've produced here at the lab. 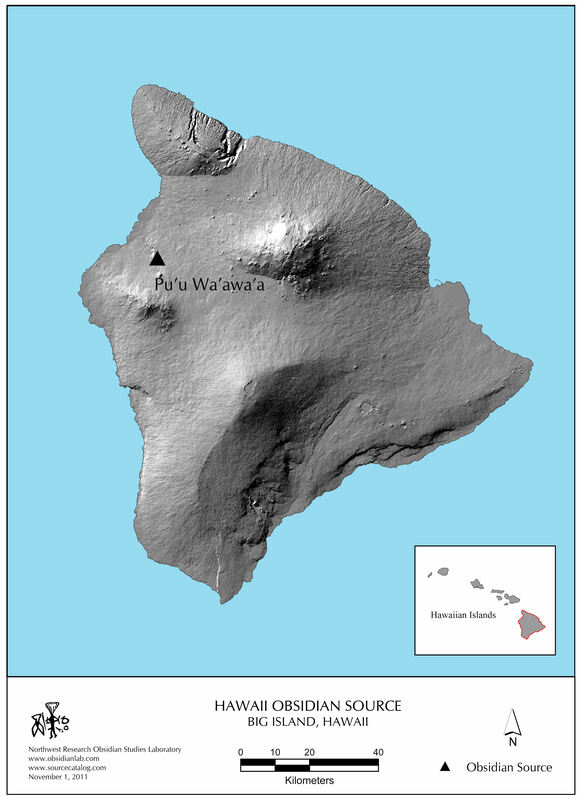 We'll generally offer a high-resolution version and an Adobe Acrobat (PDF) version. 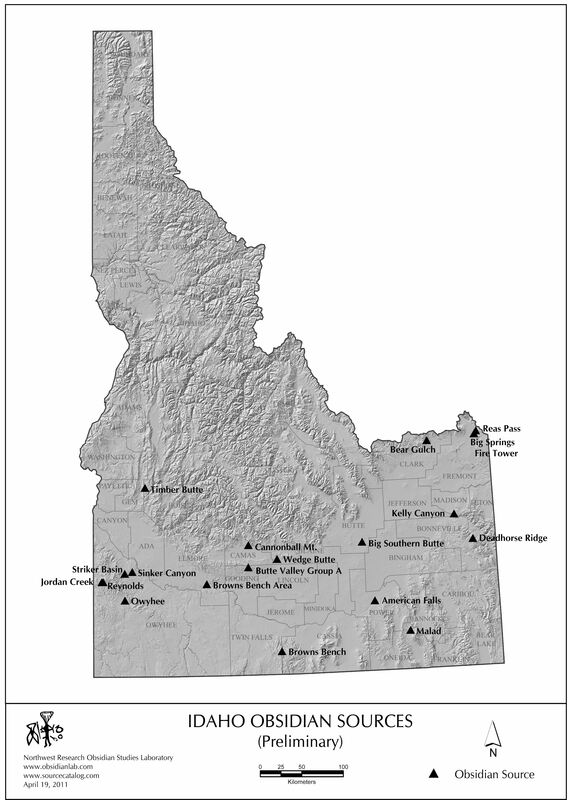 To view the Acrobat pages, you'll need to have the free Adobe Acrobat reader installed. 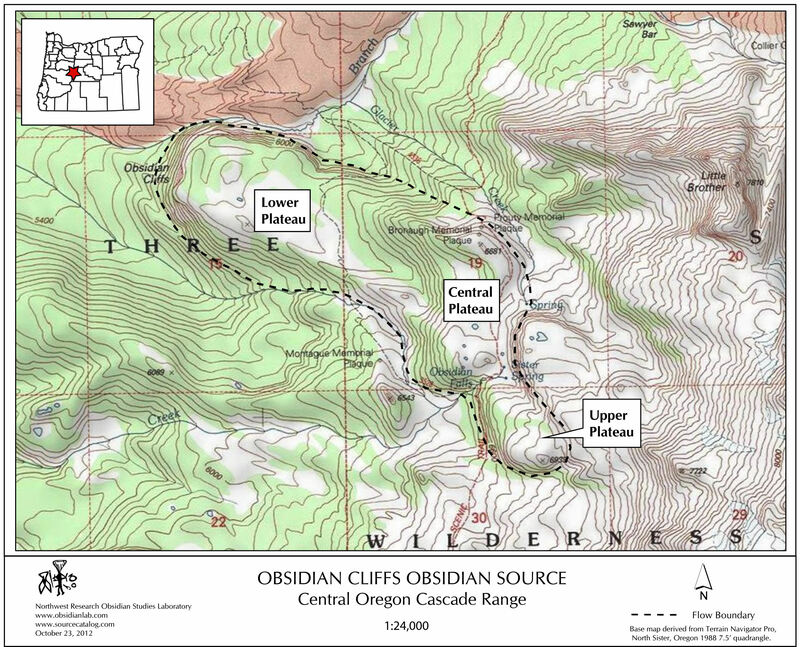 To download either the PDF or JPEG image, right-click on the link and choose "Save Target As" or left-click on the link and then save the displayed image to the destination of your choice. 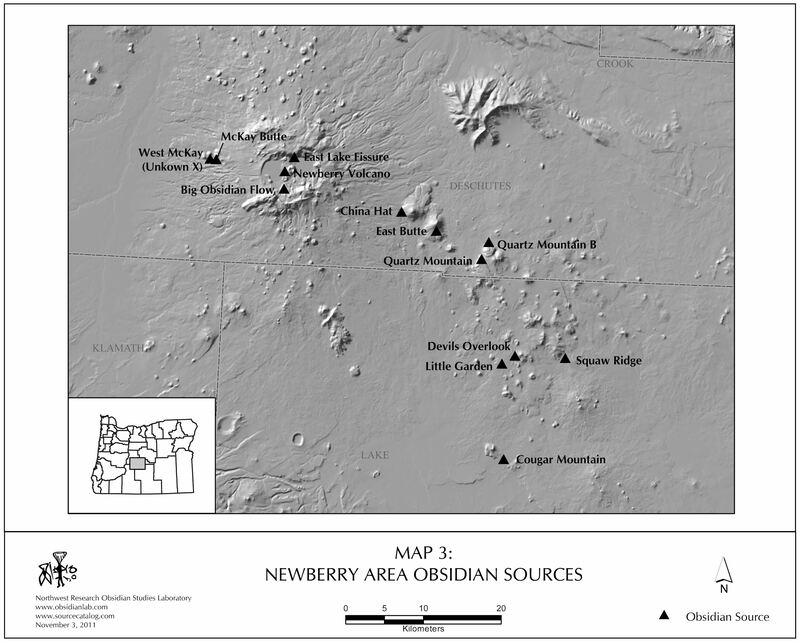 These maps are works in progress. 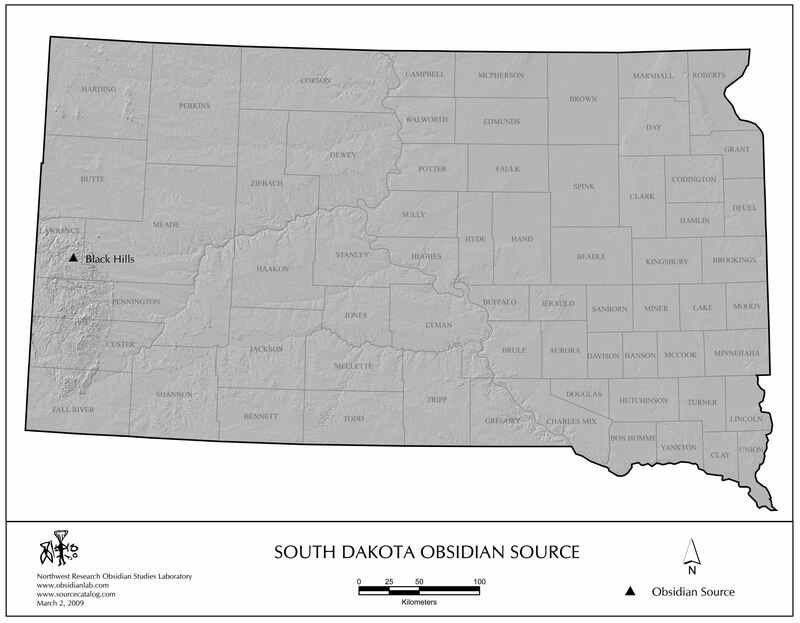 For the time being, the maps offered here should be considered to be somewhat preliminary and subject to change in both style and content. 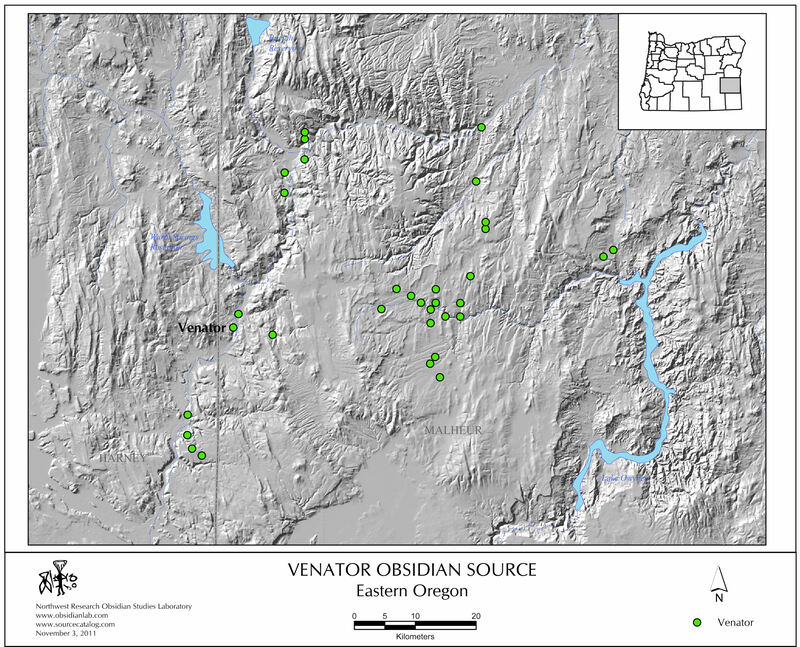 Those that are clearly preliminary in nature are designated as such in the map index list below. 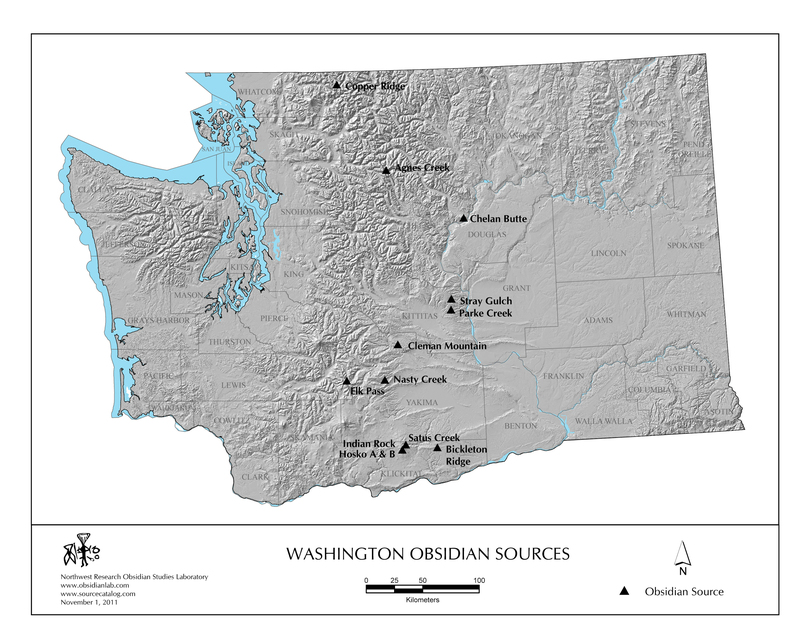 If you should spot any errors or omissions (or simply have suggestions about how we could improve the maps), we'd appreciate it if you would let us know so that we can immediately investigate and correct them. 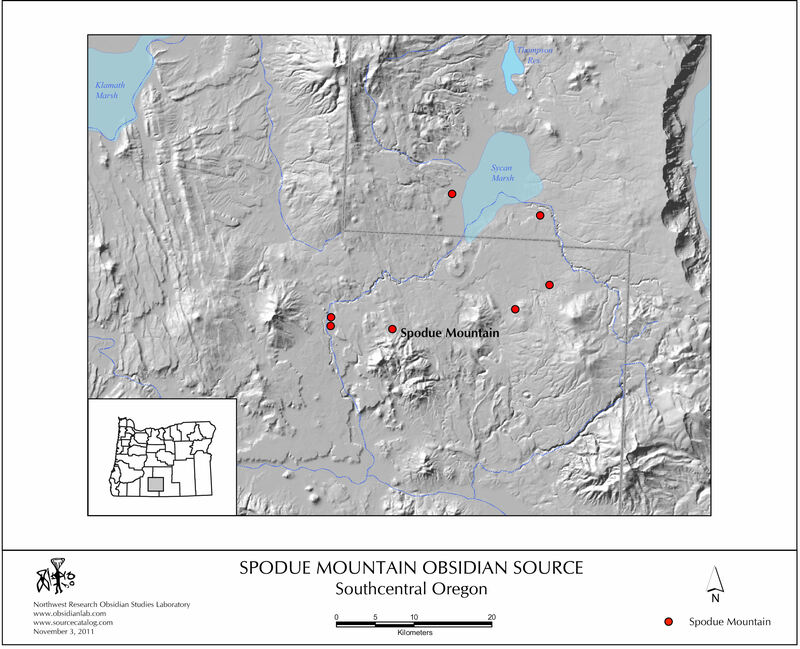 Source locations. The sources represented on the maps are geochemical (or chemical) sources, i.e., they are sources of glass that fall into a single geochemically-determinable source group. 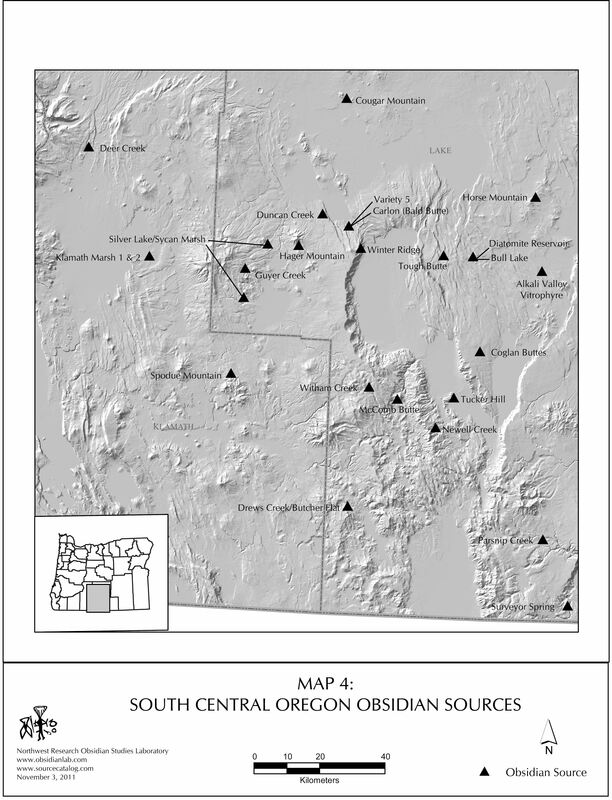 The locations that are placed on the maps are generally points that are chosen to represent the general or central locations of the obsidian, the primary source (if one is identifiable), or the "type" location that has provided the original name for the source. 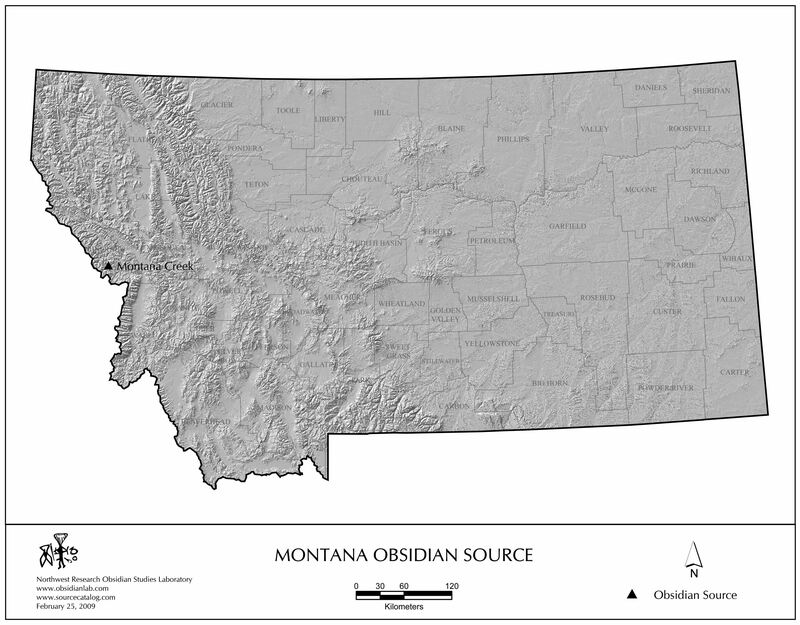 There is no attempt in the state-scale maps to accurately represent both the primary and secondary geographic distribution of the obsidian (which can be considerable). 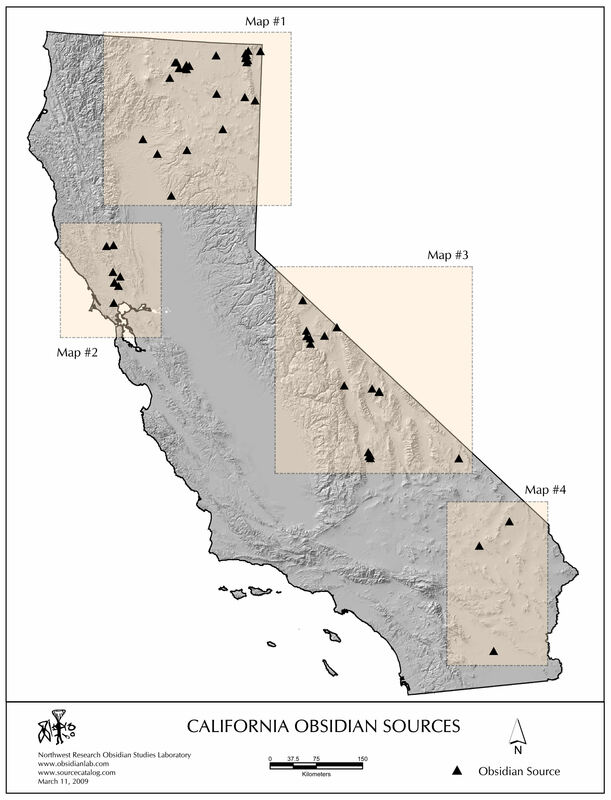 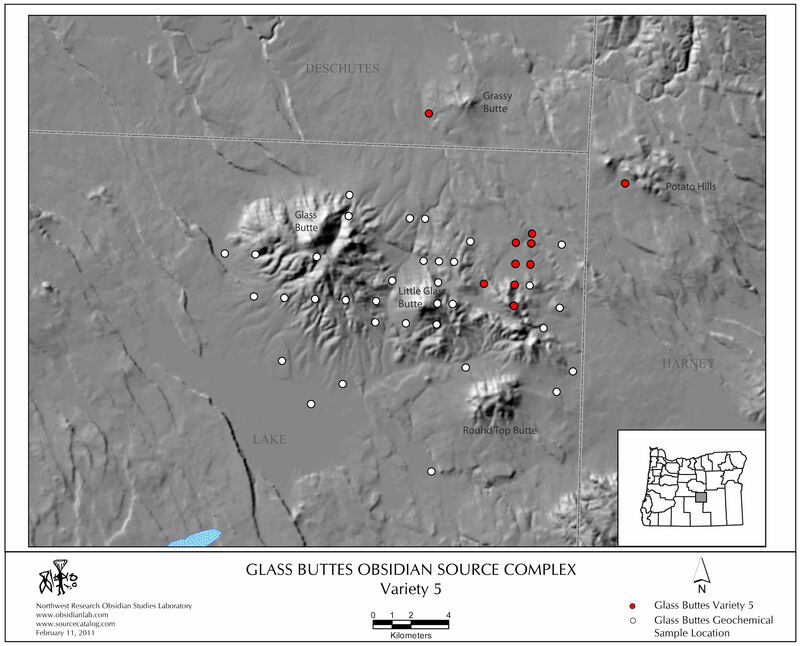 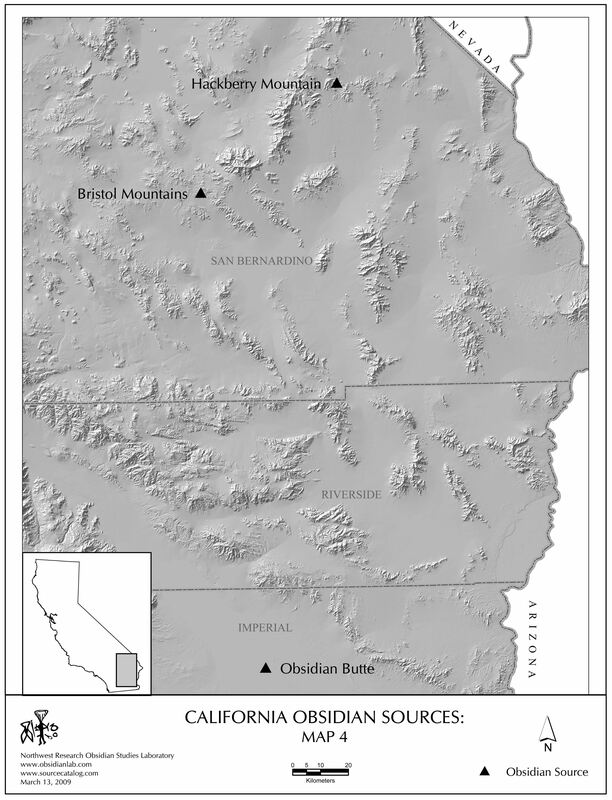 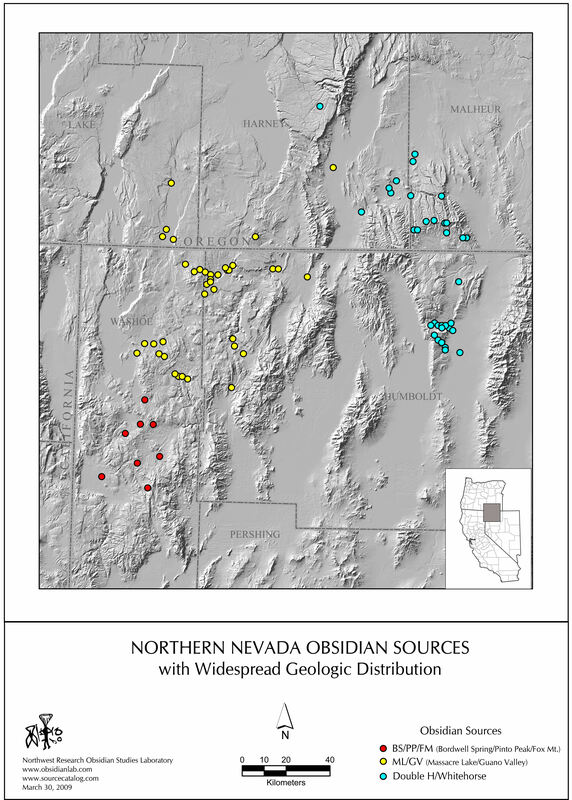 Several of the obsidian sources, particularly those in Nevada, Oregon, and Idaho, are associated with extensive volcanic ashflows and nodules of glass may sometimes be found over very large geographic areas. 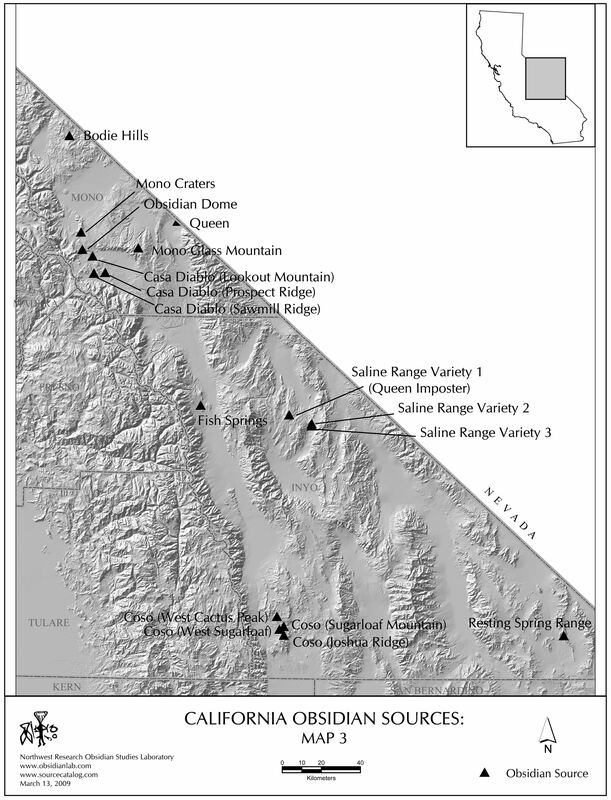 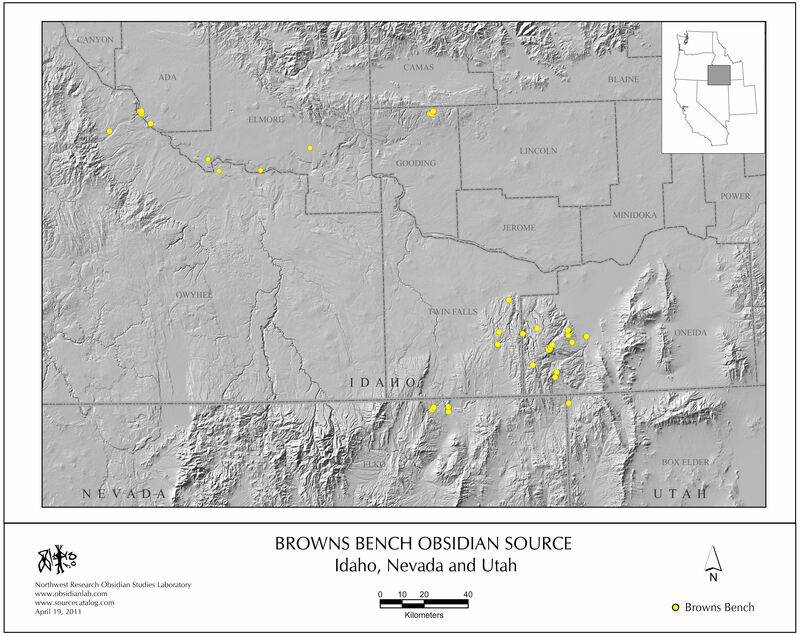 For these sources (Browns Bench, Massacre Lake/Guano Valley, Buck Spring, and several others), we will eventually provide more detailed maps illustrating their known geographic range. 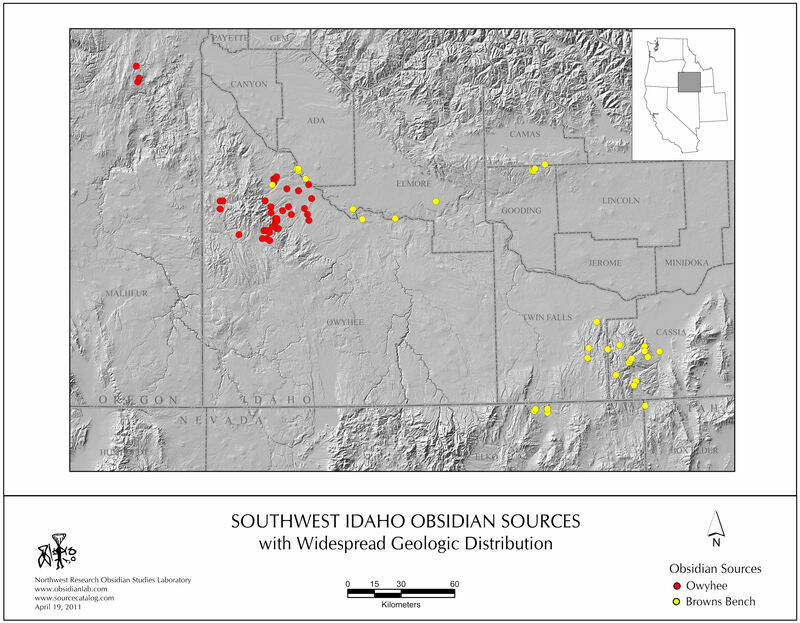 Finally, a few potential sources (for which we have not been able to obtain or collect specimens for analysis) have been omitted from the maps because we have not been able to verify their existence or because we suspect that they are outcrops related to a known geochemical source. 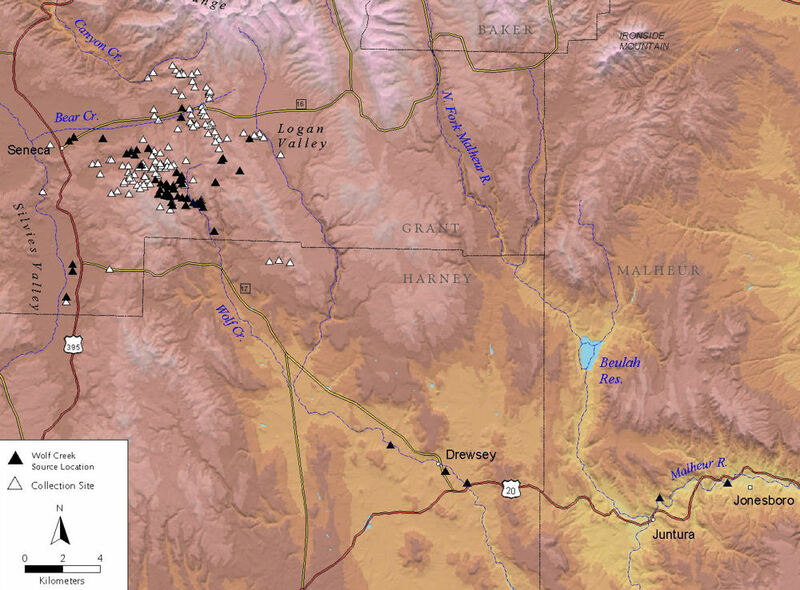 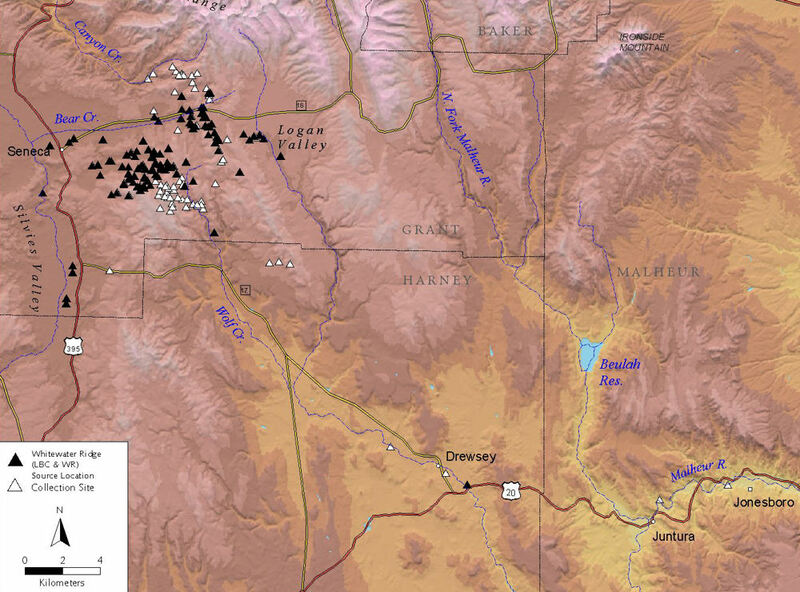 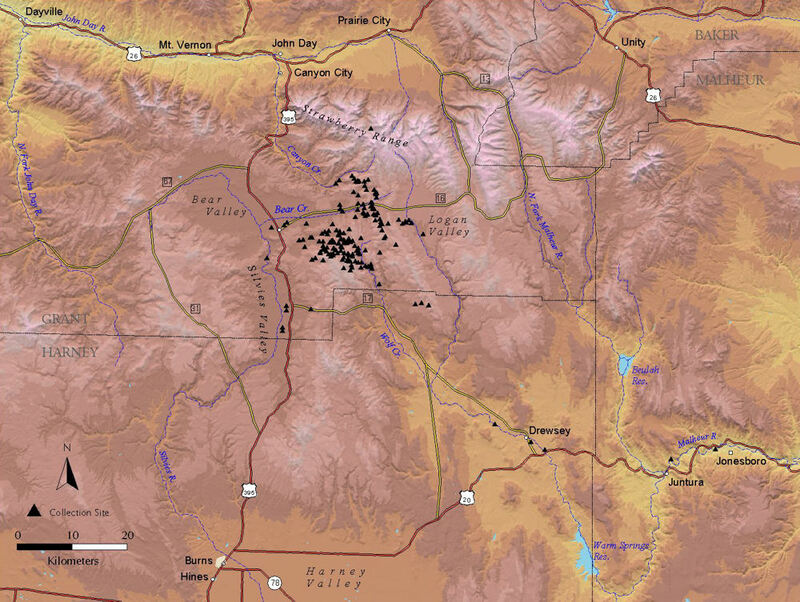 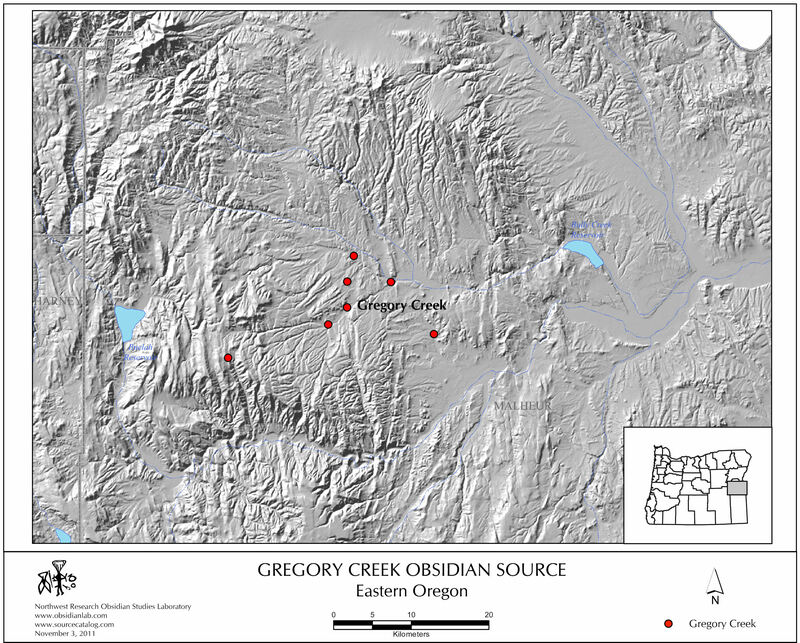 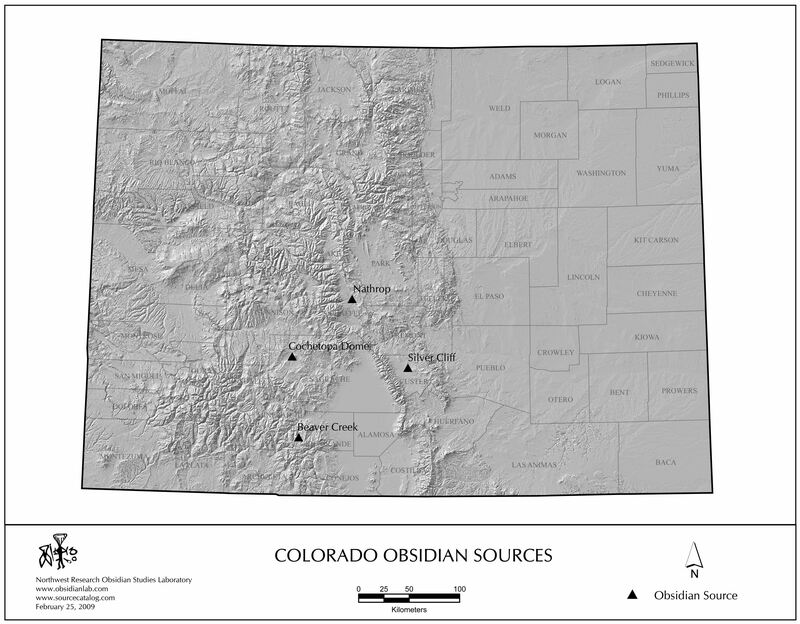 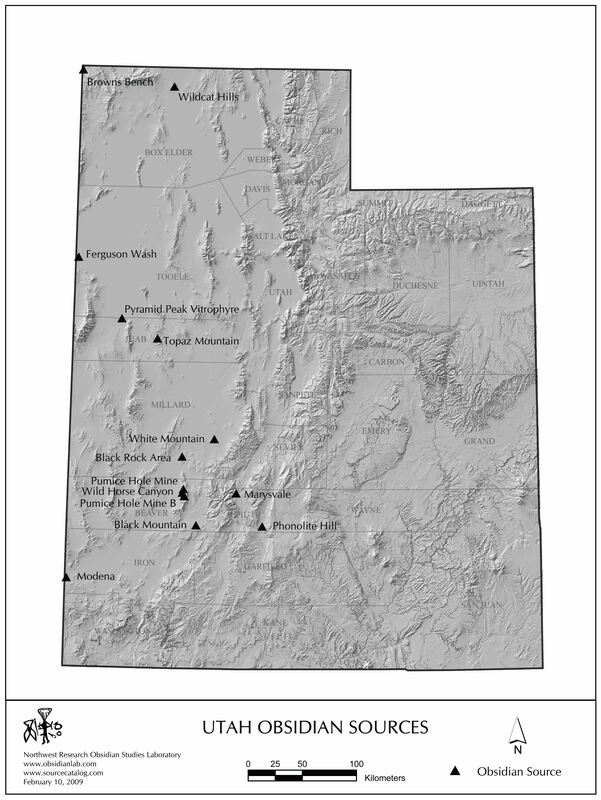 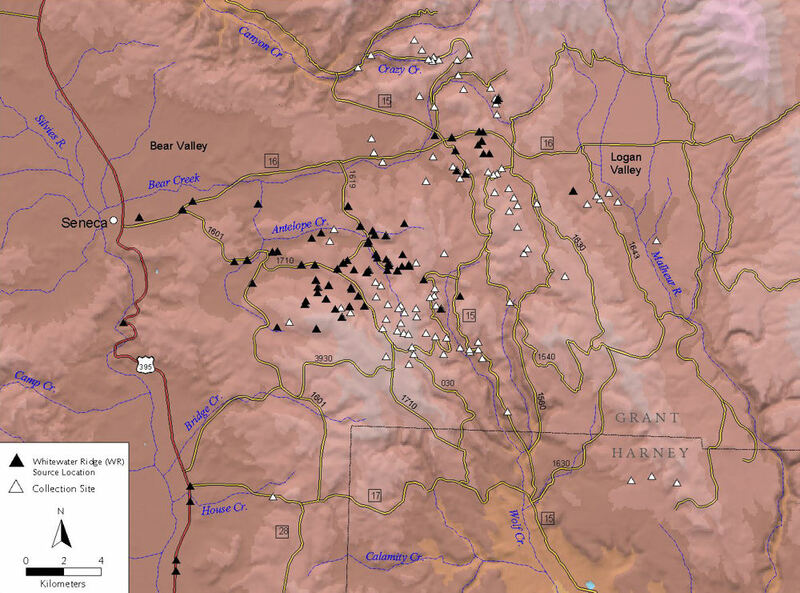 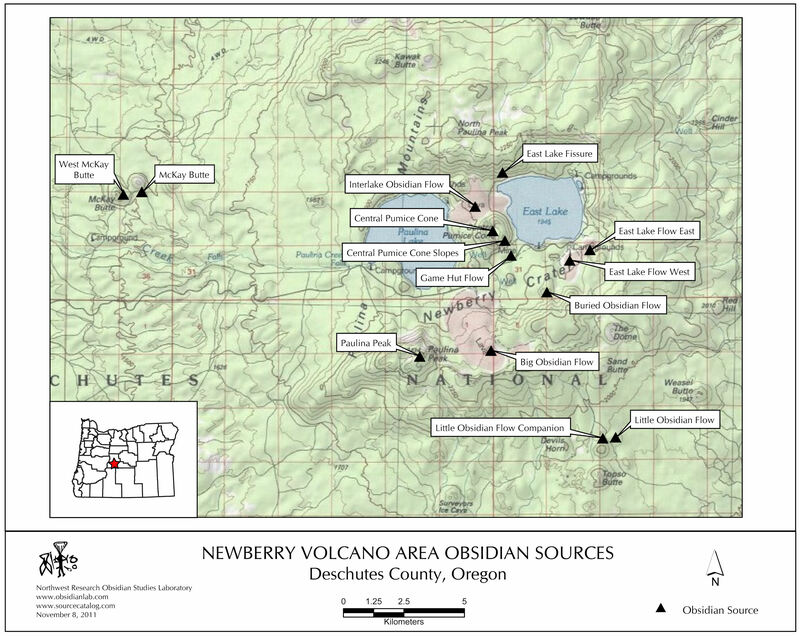 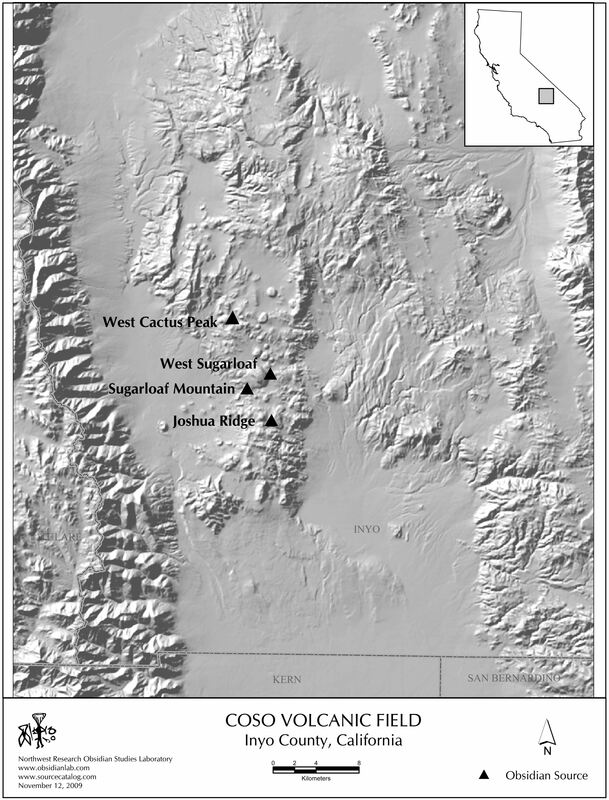 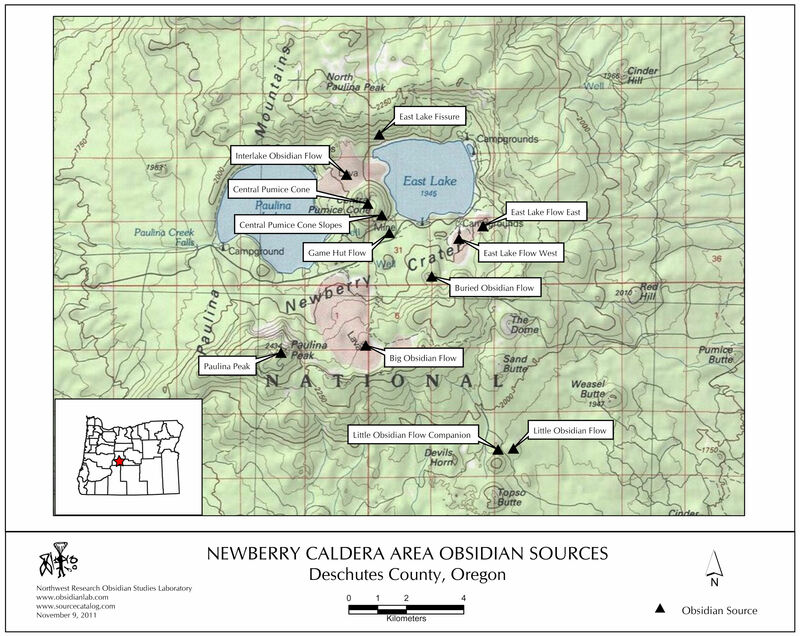 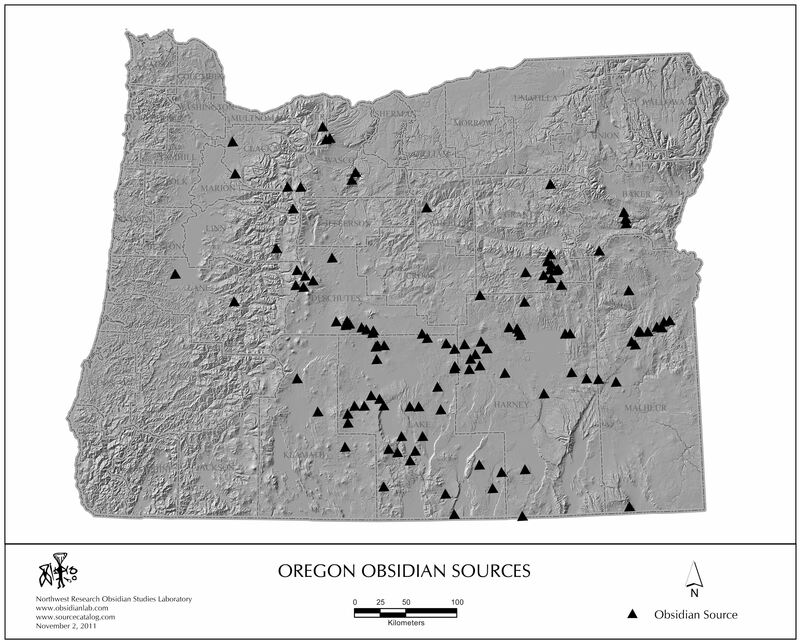 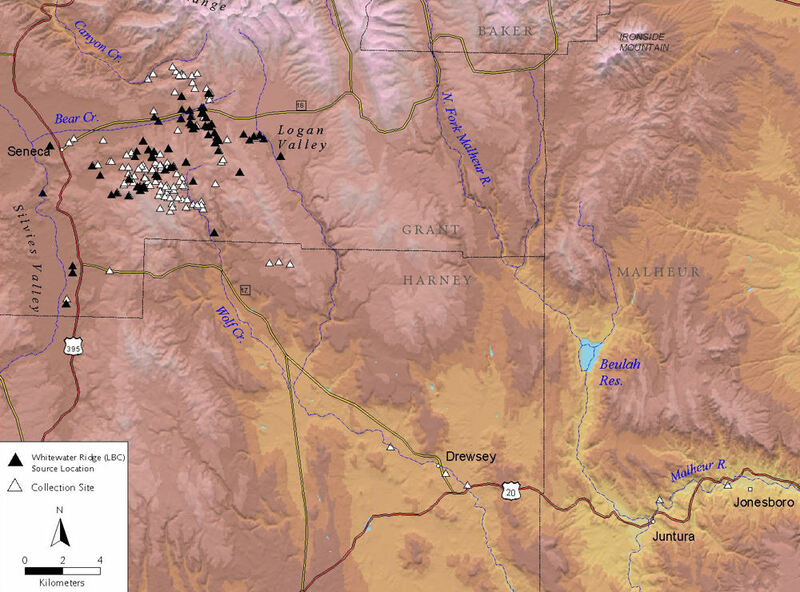 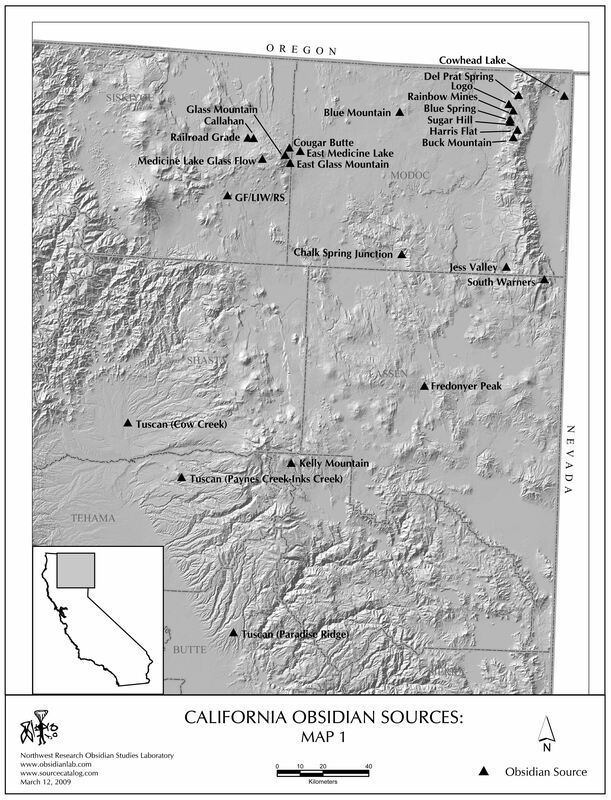 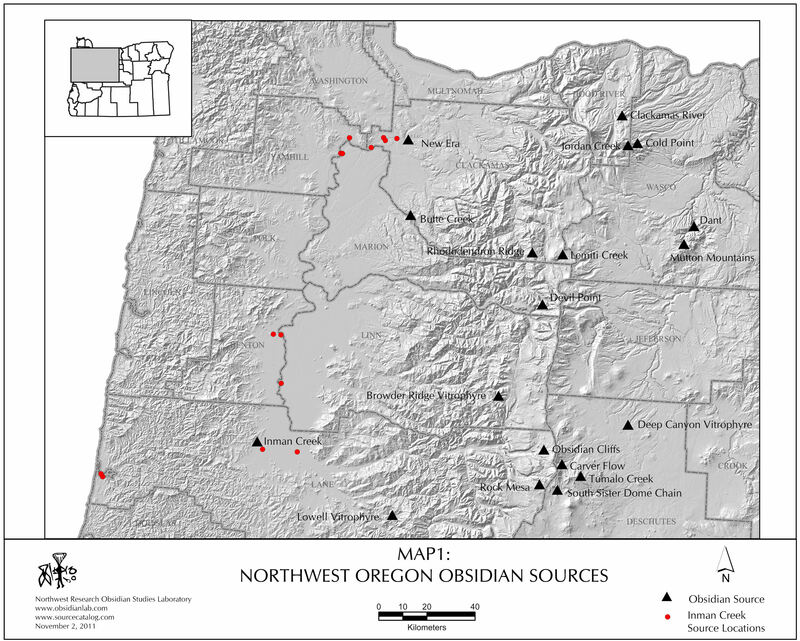 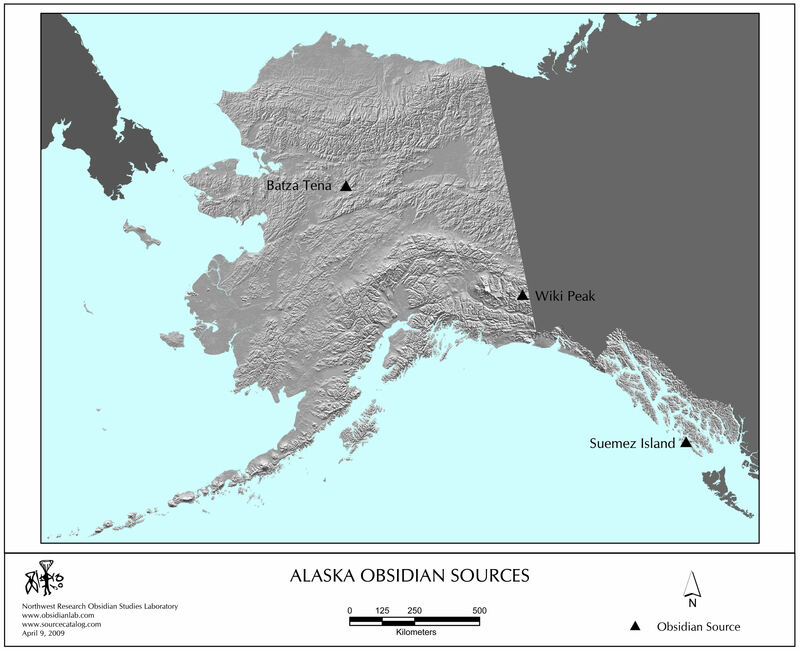 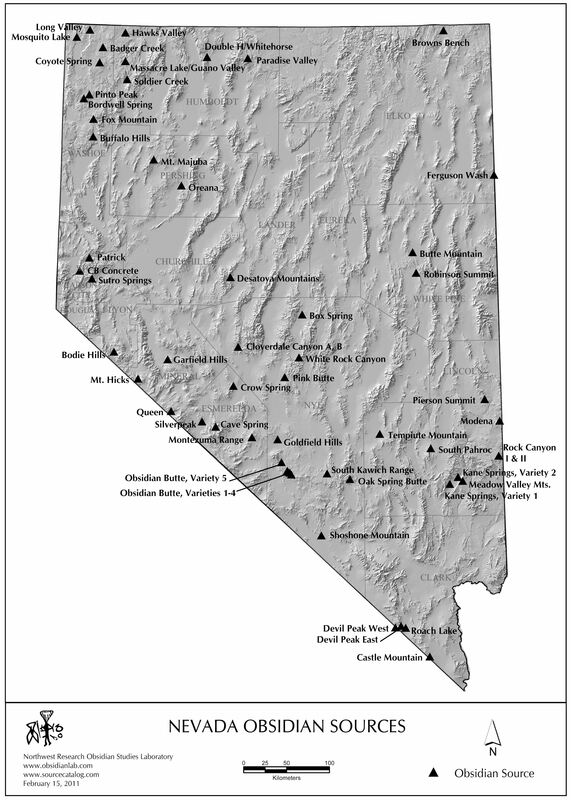 The maps available here are all produced by Northwest Research Obsidian Studies Laboratory and may be downloaded and freely used or modified for reports, books, websites, and other projects. 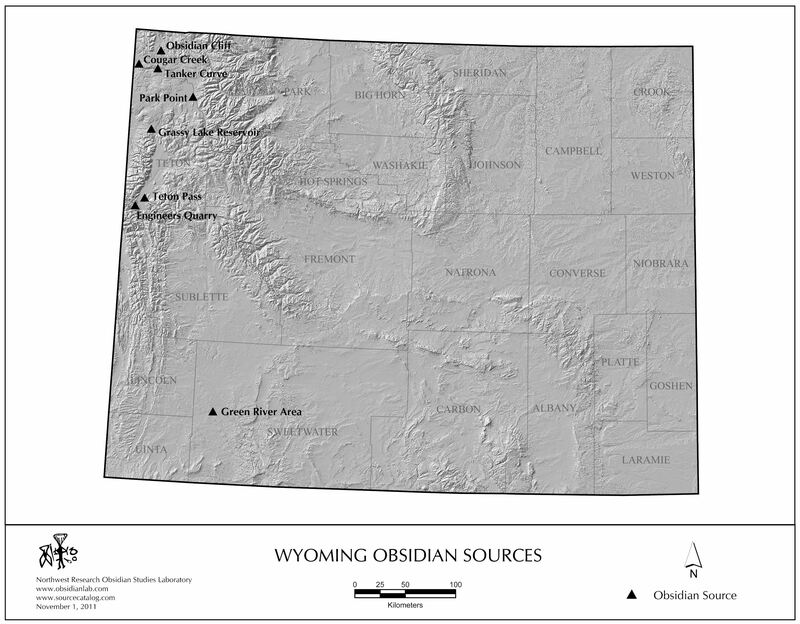 We ask only that you give us explicit credit for them or provide a link back to www.obsidianlab.com. 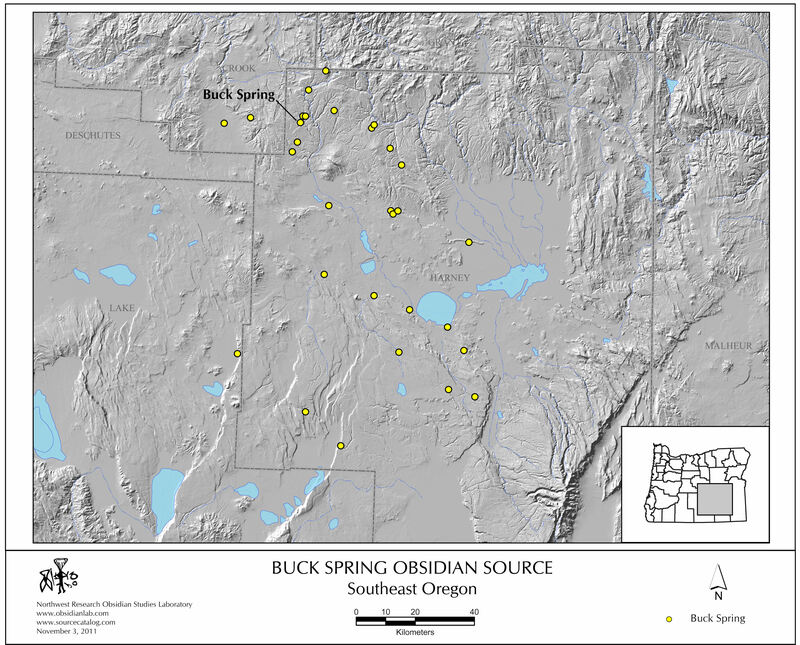 Higher resolution state source maps are available upon request. 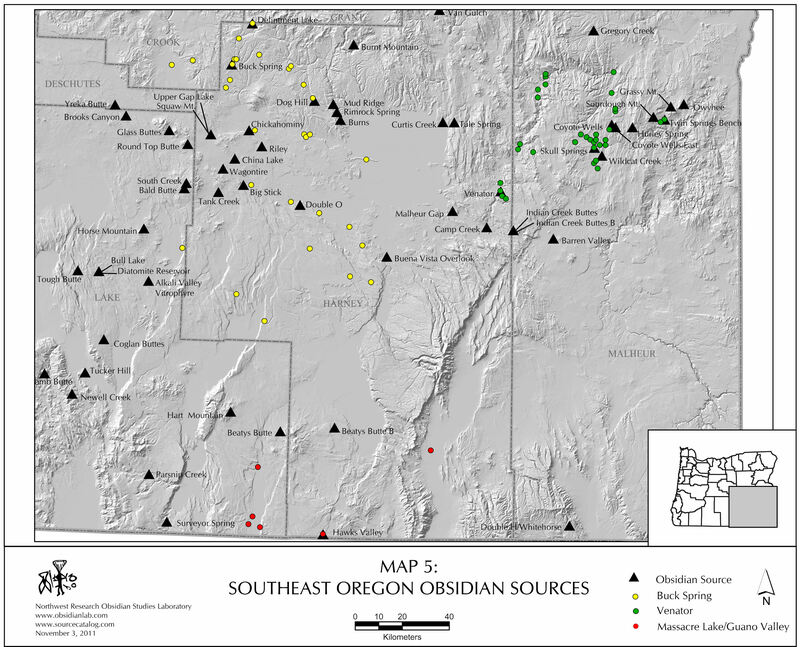 Additional obsidian-related maps from other sources (such as the U. S. Geological Survey) will eventually be available in the laboratory image library which is currently under development. 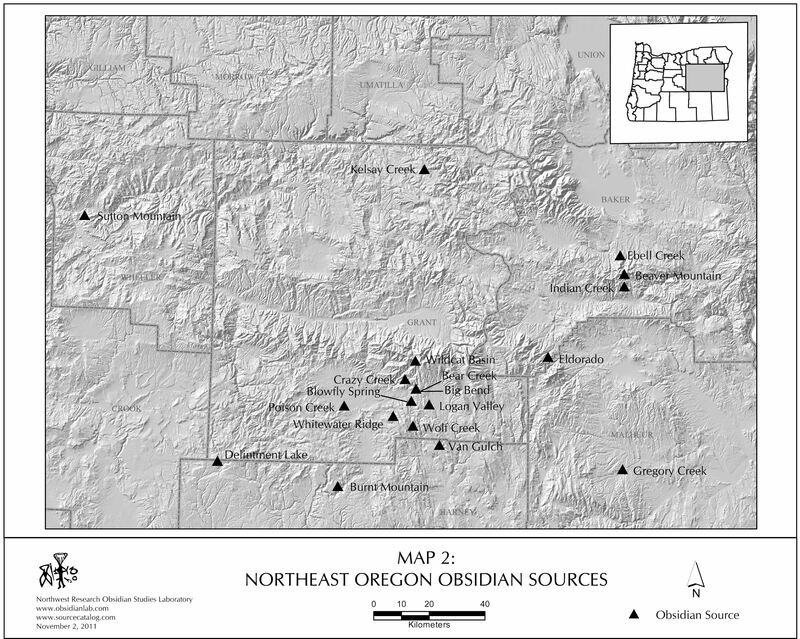 Additional information about the obsidian sources shown on these maps can be found (or soon will be found) at our companion website at www.sourcecatalog.com. 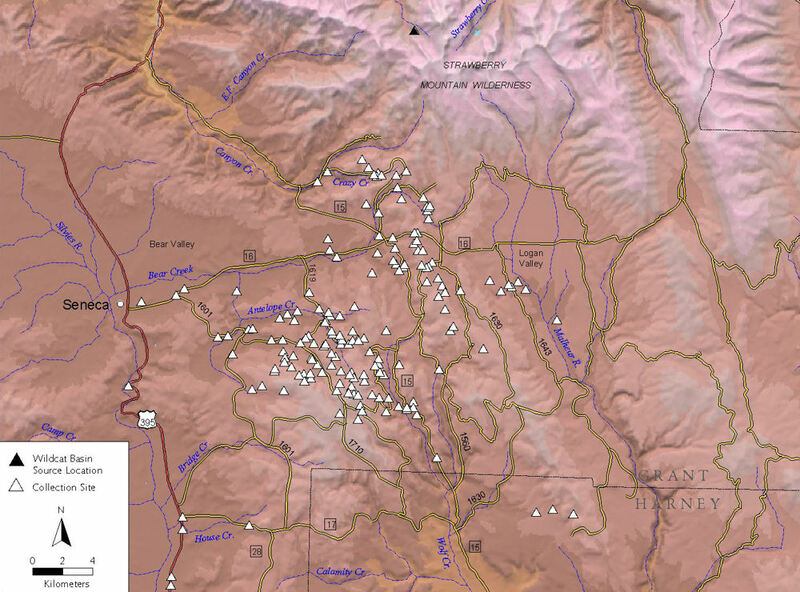 NO MAPS ARE CURRENTLY AVAILABLE. 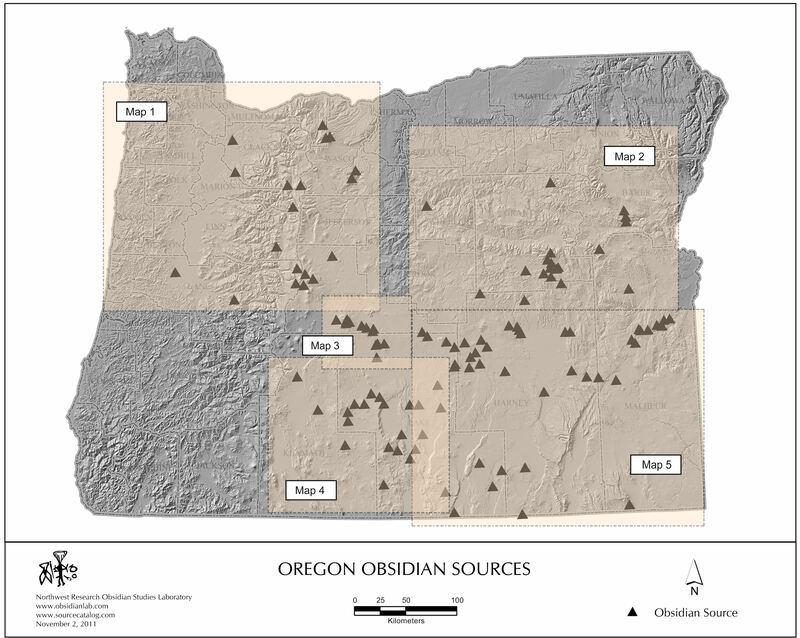 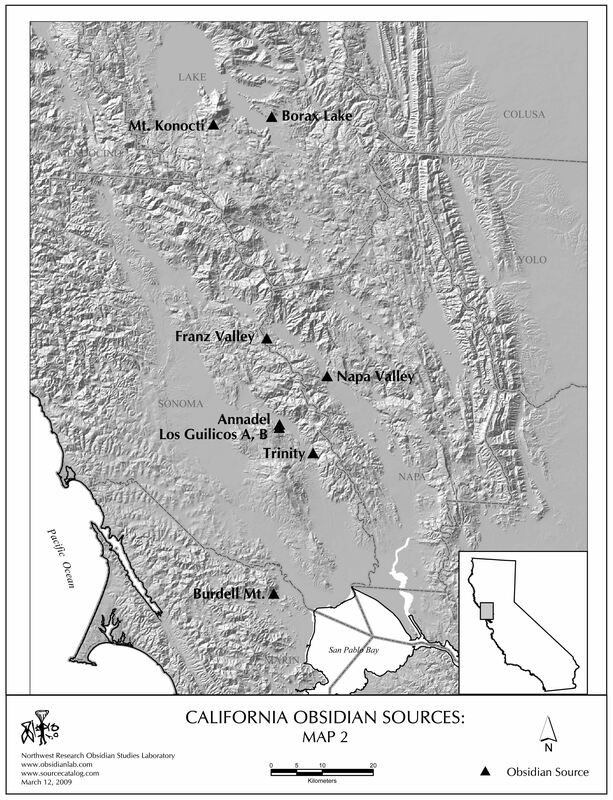 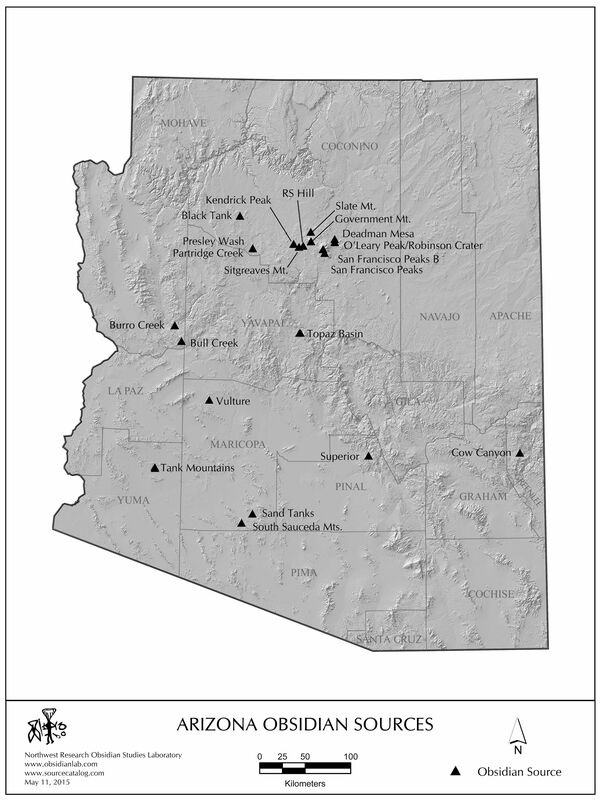 For many years, we've been sampling, analyzing, and mapping obsidian from the Glass Buttes Source Complex and have so far identified nine different geochemical varieties. These maps provide a snapshot of our findings to date.